10,000 Miles of Therapy — MWFreeman — Writer. Photographer. The end of the story has never been told. I wrote a short piece for Yahoo Travel about all the beauty that was the 'Giddy Up Tour'. My dad’s advice was this: “Life changes quick, so make each day count.” It became my family’s mantra, our cheers, our philosophy for existence — especially after my father became sick. And in this spirit, and when the time was right, my mother, my sister Brit, and I packed our things into a 27-foot motorhome and drove more than 10,000 miles through the North American unknown. Glioblastoma multiforme took Dad away from us in July. This particular brand of brain cancer allows doctors to place a reasonably accurate time stamp on one’s life at the point of diagnosis, because, in the realm of modern medicine, even a crude solution does not yet exist to improve survival. That freezing January evening when Mom, Brit, and I spoke briefly and intensely with the still-scrubbed surgeon, the clock stopped counting upward the seconds of the lives we had been living, and starting counting downward — downward from the six months allotted to my father’s life. In the deserted waiting room, we allowed ourselves a few moments to hold each other tightly, to release tears from stunned eyes, to dive into the darkness of the situation. When we resurfaced, it was time for action, time for a new plan, time to help Dad tease every last ounce of life’s essence from his final months. My mother, Brit, and I, without hesitation, took leaves of absences from our places of work and study, shifting the focus of our lives toward ensuring that all possible laughter, love, energy, and light was made available to Dad. We managed to pack the goodness of many years into a handful of months. We enjoyed countless dinner and coffee dates with friends dropping in from near and far. We cycled a 130-mile charity tour benefiting Toronto’s Princess Margaret Cancer Centre, with Dad and I riding an adapted tandem bike. We participated in our local multiple sclerosis walk, for which Dad sat as committee chair for many years. We got rum-rowdy for several parties at Dad’s yacht squadron clubhouse, where he operated as social representative and membership director. We watched stock cars roar by for Dad’s birthday celebration — something Mom and he did frequently in their dating years. 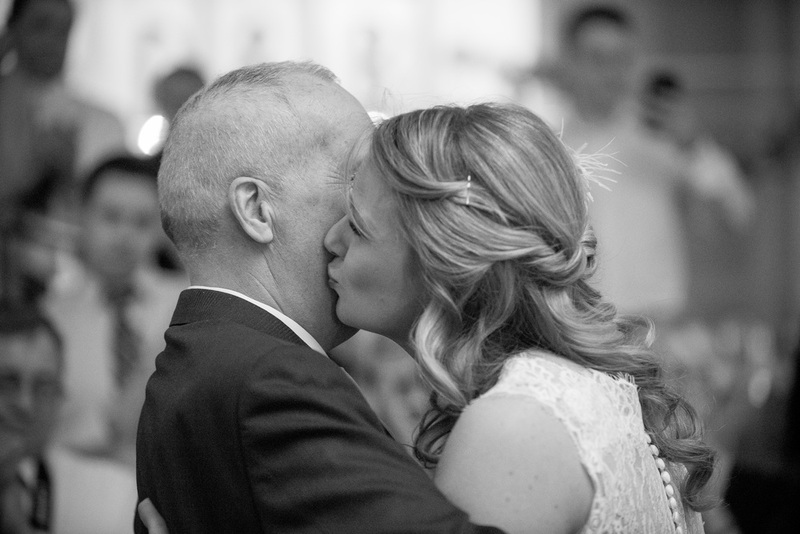 Most significant of all, Dad, with Mom’s help, walked Brit down the aisle on her way to marrying the love of her life. This wedding was put together over two weeks, happened 16 months ahead of schedule, and made crystal clear to me that Dad’s ‘Make Each Day Count’ philosophy can introduce absolute magic into your life. When Dad shifted phases from the physical to the ethereal this July, Mom, Brit, and I decided to continue living in Dad’s adventurous, ever-shining, ever-grinning spirit. We resolved to make a grand adventure of the North American continent, reflecting on a spectacular life while dancing along the roads of a remarkable land mass. Setting off from Toronto, we navigated a curlicue route through Canada’s massive central provinces, tracing the north shores of the fresh-water gargantua, Lake Superior. Then we dove south — down, down, down — through the United States, being first introduced to the nation at a tiny North Dakota border crossing. We then immersed ourselves deeply into the landscape by way of a slingshot course — the Dakotas to Montana, Utah to New Mexico, Arizona to Washington. The route the family took. Our reunion with Canadian soil was set in the sea-to-sky of British Columbia’s Pacific coast, and then our home-on-wheels was directed through the grand Rocky passes and misty pines of Canada’s western interior, eventually landing in the wild rose country of Red Deer, Alberta. The scenes flying by us were majestic and mysterious. Grand vistas were revealed rounding bends and cresting peaks. But the most vivid and resonant pictures were the ones stirring in my family’s collective mind as we reflected on my Dad’s larger-than-life character and invincible positivity. To spur memory of our favorite guy as we rolled down long country roads or sat around campfires, we shared our own stories, along with the submitted stories of friends and family. These short compositions were prepared at my family’s request prior to Dad’s funeral, which was reminiscent of a party. The 500-plus attendees provided us with a massive repository of new memories that ranged from hilarious to emotional, inspirational to wonderfully offside — invaluable gifts that we unwrapped on each day of our journey. Mom, Brit, and I created new memories with Dad over the course of this tour, too. We brought Dad’s cremated remains in colorful jars and scattered small portions in the most breathtaking and resonant settings we happened upon. Each of us took turns to whisper a small dedication to the wind before letting it take him away. These were some of the most beautiful, personal, and cherished moments of our entire journey. From the caldera rim of Crater Lake National Park at dawn, from the craggy panorama of Yellowstone’s entryway, Beartooth Pass, and from 20 other magnificent vistas we wished Dad peace as he sailed freely about the universe. After three months of road-borne therapy, Mom, Brit, and I returned to our Toronto home with the feeling that we had done something revolutionary. We had reflected on this year’s journey with our fallen loved one brilliantly, we had explored our grief deeply and shared it openly, and we had seized the day in Dad’s honor — something perfectly in line with his ‘Make Each Day Count’ philosophy. What a perfect legacy. Michael Freeman is a traveler by nature, an engineer by training, and a storyteller by birth. From Toronto, but currently based in Ethiopia, he is chasing the storyline and living to #makeEachDayCount. Check out Michael’s photo essay, “Semi-Symmetry and Equanimity,” which he shot during his family’s therapeutic road trip. So here we are, and another adventure awaits. RT @DanaLarsen: Prohibition of drugs should properly be called "harm maximization." Perhaps this was very far from home, far from his past, and approaching an uncertain future.